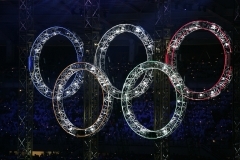 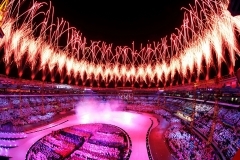 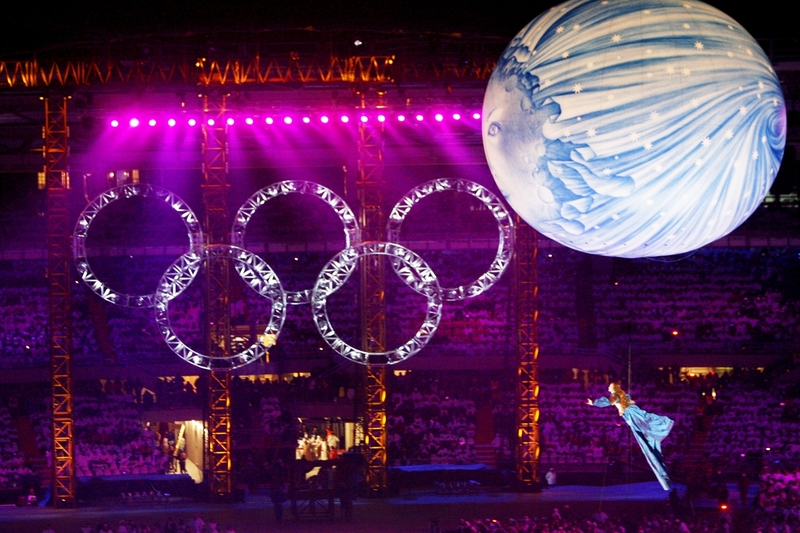 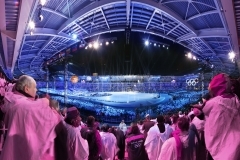 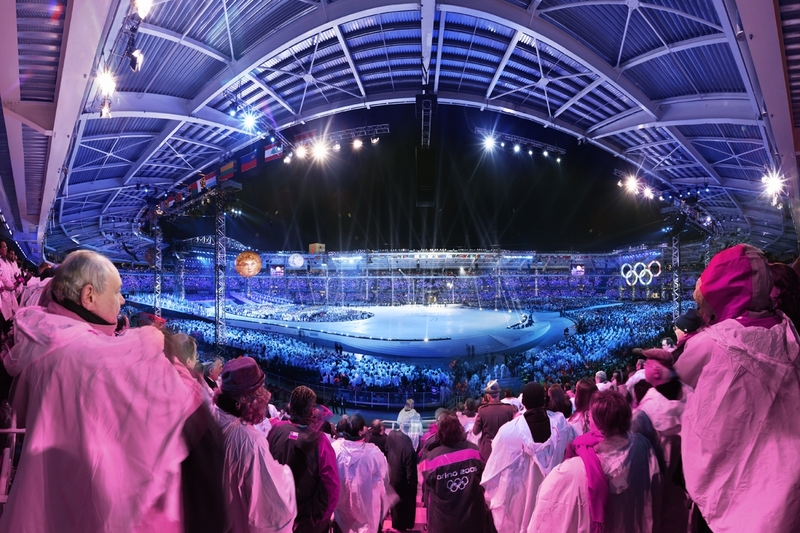 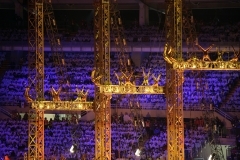 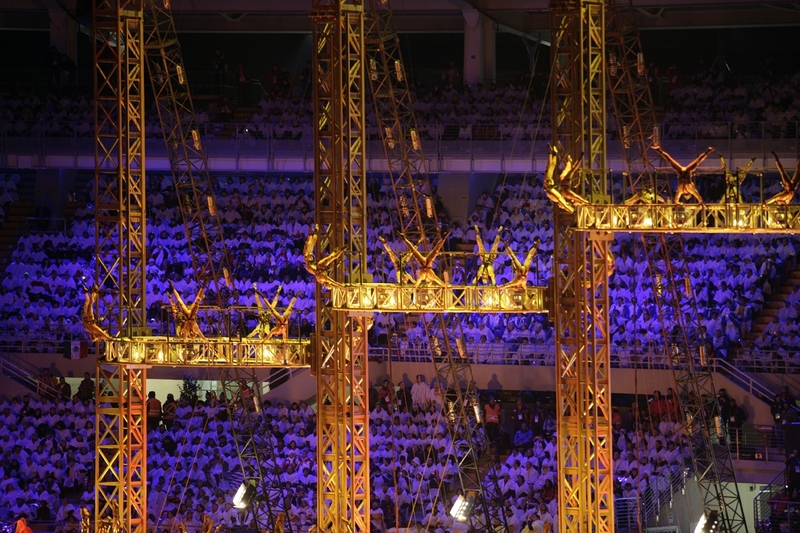 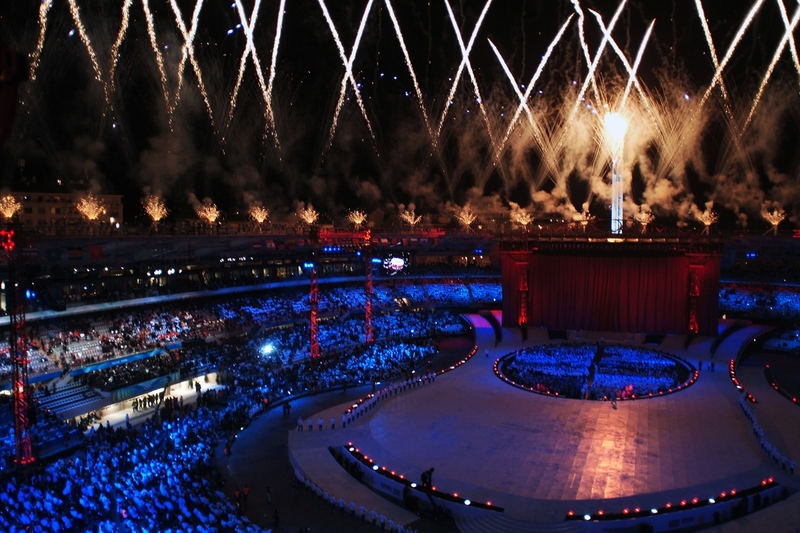 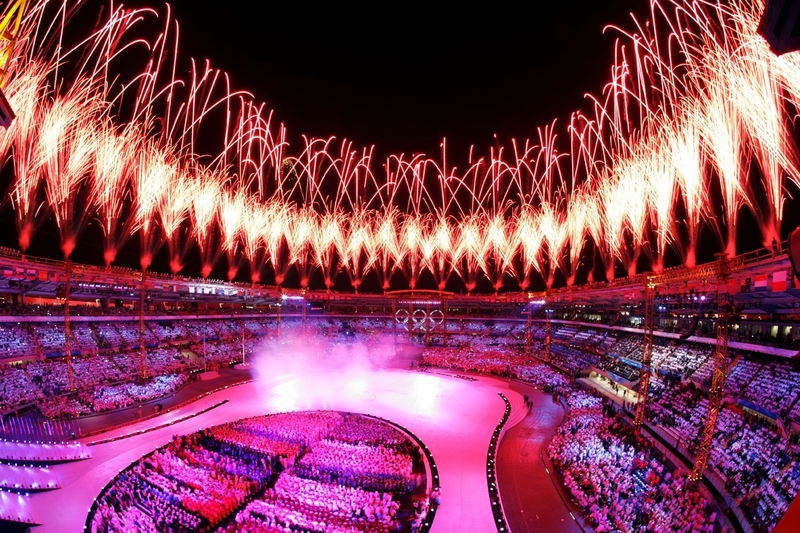 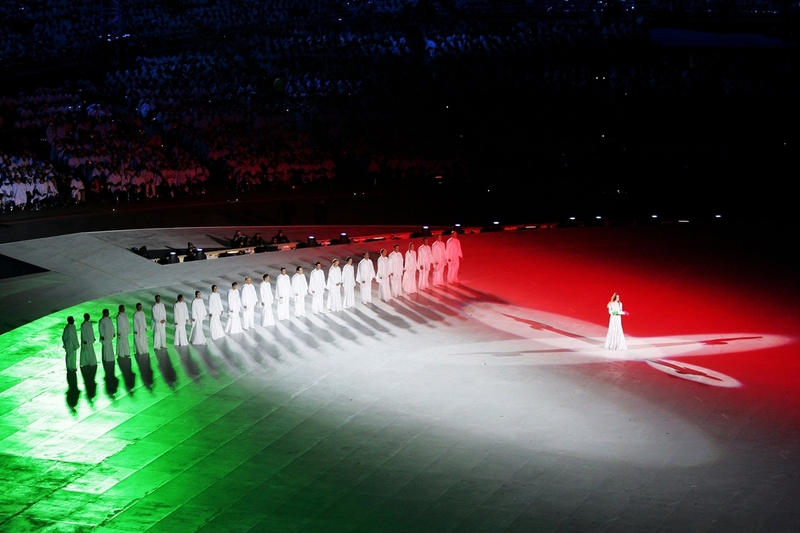 The Winter Olympics and Paralympics Opening and Closing Ceremonies took place in Turin in the Spring of 2006 and the events were watched 2 billion people worldwide on High Definition Television. 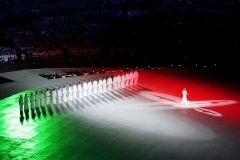 The event was Produced by Italian production company Filmmaster with Marco Balich as Executive Producer, Christel Strohn as Administrative Producer and Marco Astarita as Technical Producer. 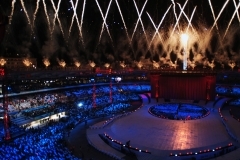 The staging and set were designed by Mark Fisher and the fireworks were designed by Christophe Berthonneau of Groupe F.
The lighting was programmed by Ross Williams, Mark Payne, Pryderi Baskerville and Emiliano Morgia on WholeHog III lighting desks from High End Systems. 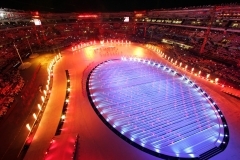 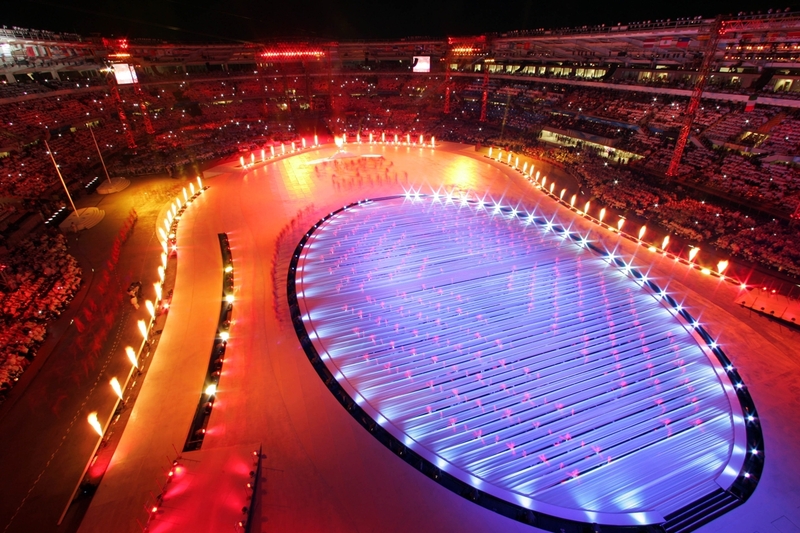 The lighting system from Space Cannon used over 24,000 ways of DMX control and was managed by Nicola-Manuel Tallino for lighting suppliers Agora. 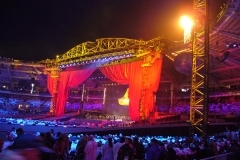 Nick Jones, Eneas Mackintosh and Dave Bartlett were contracted by Durham’s lighting company LUMITECT who also employed Christopher C Bretnall as HDTV consultant; PA to the lighting Designer was Jennie Marenghi.